I am just mad about the beginning of your collaboration journal! The pages just scream 'Seth made me!' - and that's a very good thing! I can't wait to see what happens with other books - and to see yours when it's completed. You're going to have a real treasure!- and such a rewarding experience! Got the first notification! 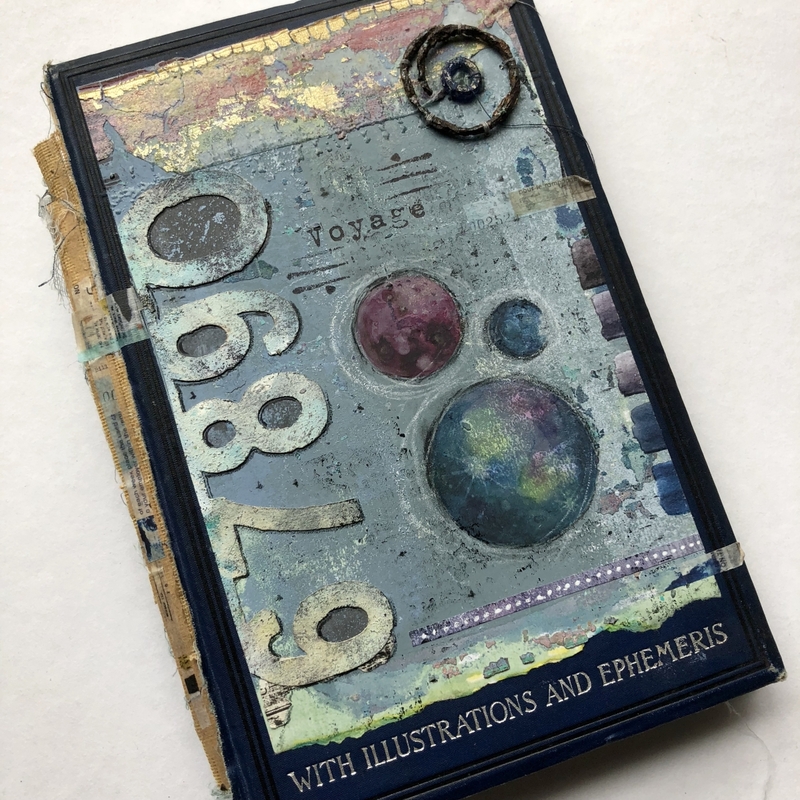 So much gorgeous details and texture, looking forward to seeing more and enjoyed your Facebook live opening your first book from Leslie Avon Miller and the new baked textures! 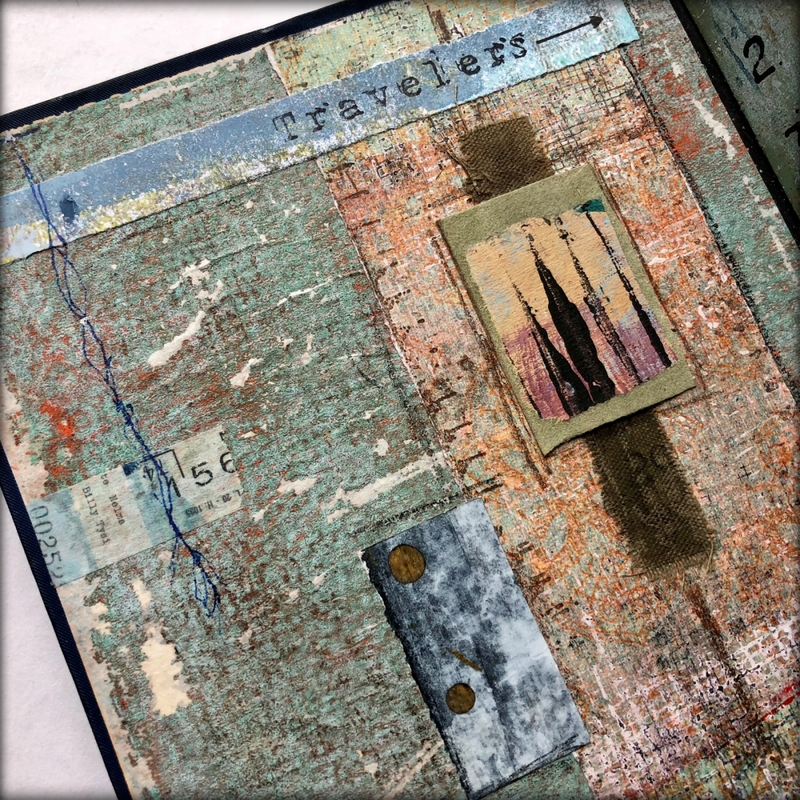 Seth, your theme, color palette and of course your trademark layers and textures... love love LOVE! Envy you the artistic journey you & your fellow artists are embarking on -- looking forward to seeing the progress. Hi Seth,,,,first,,,,Happy New Year,,,,and it looks like you're off to a great start. the brilliantly creative results,,,,You rock, Seth !!!!!! 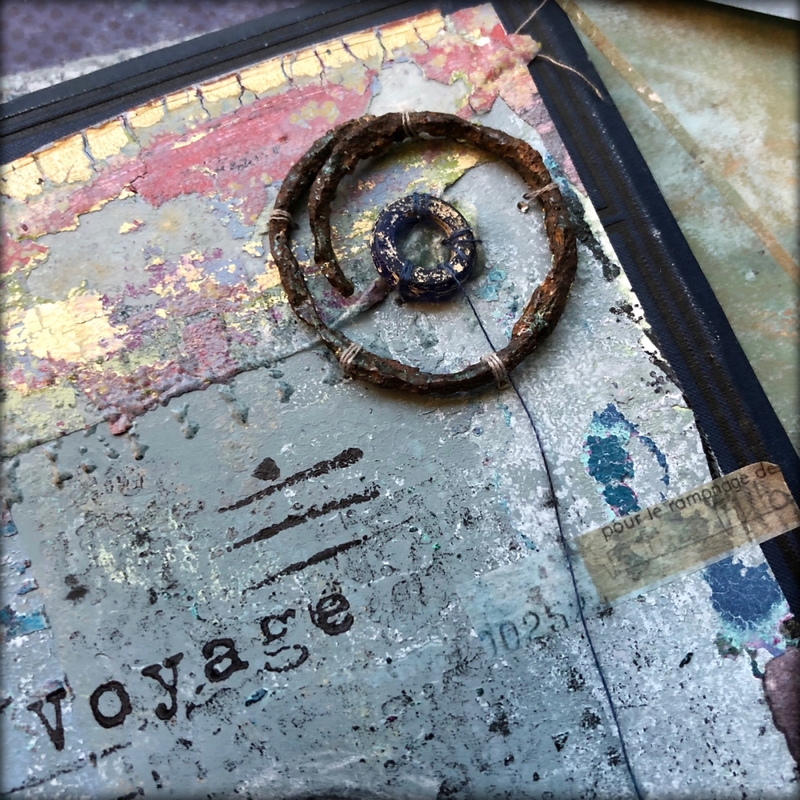 The travel/voyage theme is such a great metaphor for life! I'm eagerly awaiting the various interpretations that will ensue. Gads, what a tasty sentence! LOL But, really, your work is always so inspiring. Such a fantastic idea . I'm so looking forward to seeing each of the books and the contributions. Great theme choice and as for the creativity - WOW both in and out!! I love the theme you have chosen and the cover and pages are wonderful Seth. So looking forward to seeing more of yours and the other artists too. Can't wait to see the collaboration as it travels from artist to artist. I have been off social media for a bit, but your project drew me back. These pages have so inspired me to get back in my craft room Seth! They're simply amazing! Wishing you all the very best with the collaboration.